Jackie Johnson is a BeamPines affiliate and is the Principal and founder of Choice Coaching and Consulting, LLC, established in 2003. Her expertise is in coaching people toward more effective leadership, enhanced relationships, and greater ease and resilience in work and life. She coaches teams to improve effectiveness and build collaboration. Jackie creates a safe space for her clients to expand creativity and resourcefulness, enabling them to move through roadblocks to enhanced success and well-being. She has a proven track record of motivating clients to deepen awareness of themselves and their effect on others, resulting in improving both professional and personal relationships. She brings a compassionate, no-nonsense approach to her coaching, enabling clients to access their strengths and learn how to capitalize on them. 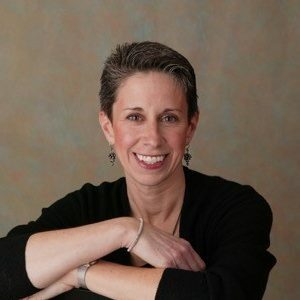 With over twenty years of experience empowering others through coaching and consulting, Jackie’s background includes seven years as a Consultant with DBM specializing in transition coaching with employees at all levels, from Chief Financial Officers to middle management and individual contributors. Prior to DBM, she spent five years with The Travelers as a Human Resource Generalist, and Consultant in Compensation and Staffing. Jackie has worked with a broad spectrum of clients including leading financial service companies, large and small manufacturers of consumer goods, chemicals and high tech devices, and professional service and consulting firms.